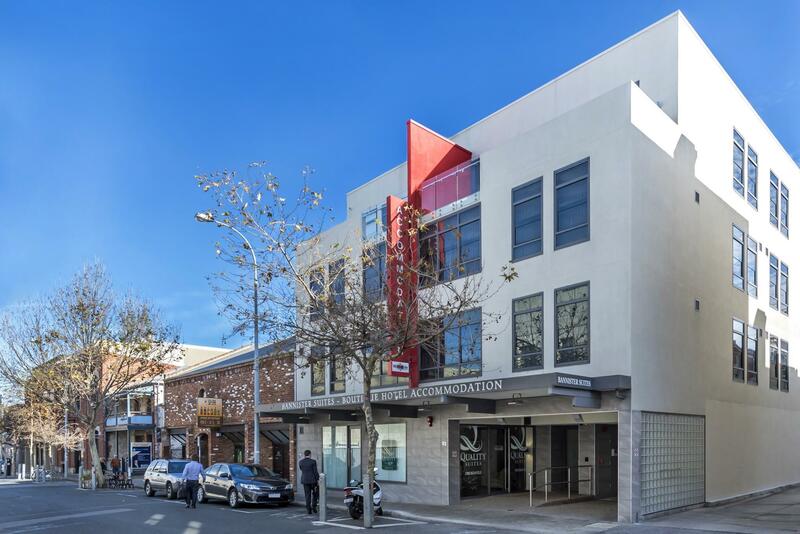 الخيار الأفضل للحصول على المتعة والاسترخاء, Quality Suites Fremantle يقع في منطقة فريمانتل في برث. يمكن من هنا للضيوف الاستمتاع بسهولة الوصول إلى كل ما تقدمه هذه المدينة النابضة بالحياة. 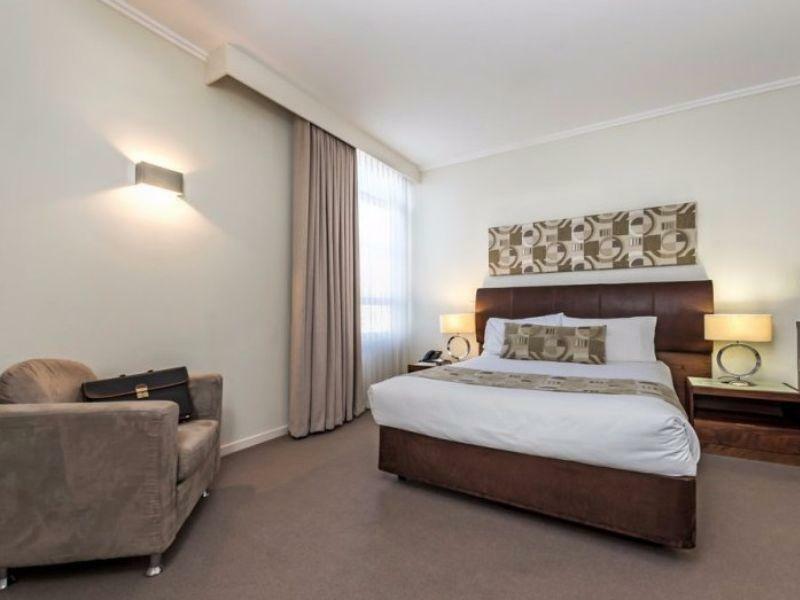 يوفر الفندق بفضل موقعة الجيد وصولاً سهلاً إلى أهم معالم المدينة.
. يقدم Quality Suites Fremantle خدمات لا غبار عليها وكل أشكال اللياقة وحسن الضيافة اللازمة لإسعاد ضيوفه. يمكن الاستمتاع بمجموعة من الخدمات على أعلى المستويات في الفندق كمثل واي فاي مجاني في جميع الغرف, خدمة حجز التذاكر, خدمة سيارات الأجرة, مرافق مخصصة لذوي الاحتياجات الخاصة, تسجيل وصول/خروج سريع. بالإضافة لهذا,تتضمن كل غرف الضيوف مجموعة واسعة من وسائل الراحة . بعض الغرف توفر حتى تلفزيون بشاشة مسطحة, سجاد, بياضات, صوفا, مناشف لإرضاء أكثر الضيوف تطلباً. كما أن مجموعة الخدمات الواسعة الموجودة في الفندق لضمان راحتك تترك لك الكثير من الخيارات لقضاء وقتك أثناء فترة إقامتك. 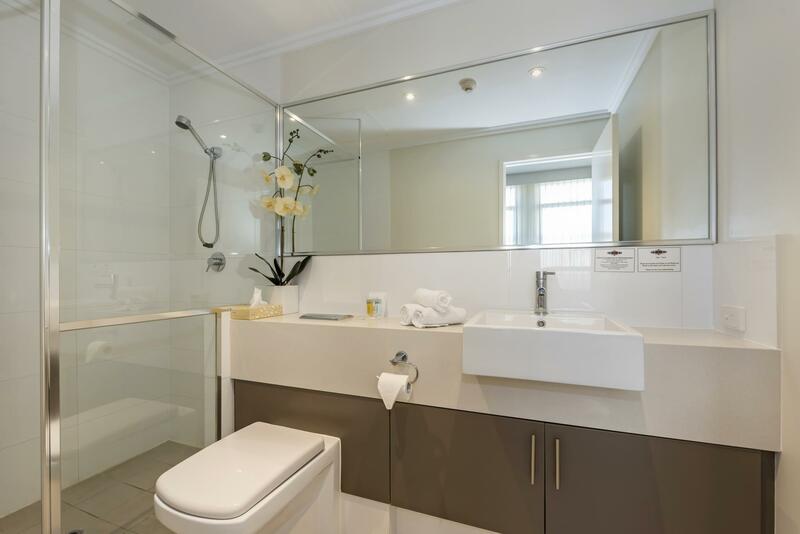 إن Quality Suites Fremantle هو خيارك لخدمة الفنادق الراقية في برث. مكتب الإستقبال مفتوح من 08:00 AM إلى 08:00 PM. الضيوف الذين سيصلون خارج هذا الوقت بطلب منهم التواصل مع العقار مباشرة قبل موعد الوصول لترتيب هذا الأمر. I actually liked the hotel. The location is excellent and it is clean and quiet. But, I didn't have hot water. Incredible! I left the tap on both directions for a long time, waiting... waiting. So, no shower for us - both Saturday night and Sunday morning. The front desk said, "It must be peak usage time." Car parking was a bit tough and kind of troublesome to have to pass through 2 doors to enter the room especially with 2 large luggages, hand carries and stroller to managed. Other than that rest are good. Room is clean and fairly well equiped. Staff were very helpful and friendly! Location couldn't be any better, right in the middle of Fremantle. Would definitely recommend staying here! Location fantastic, but do hear the “doof doof” of the music from Newport close by late into the night. Really clean but lighting in room really poor. Only left enough coffee pods for just one coffee each. If we wanted ice sent to the hotel/bottle shop across the way. Room was clean, bed comfortable, pillows nice, linen was decent quality. Absolutely FANTASTIC location. Recommend for the price. 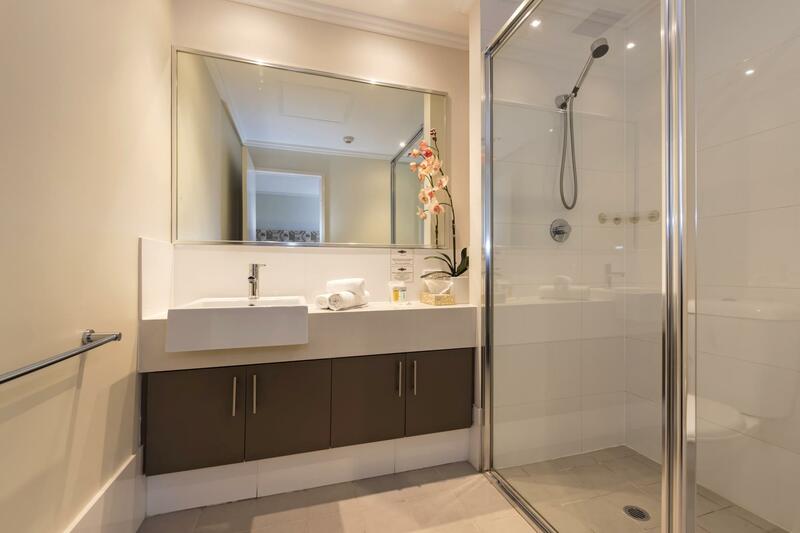 Just be careful of the tiles in the bathroom shower - very slippery when wet. Gets an satisfactory rating for staff as I had a query with our booking prior to arrival and when I phoned the Receptionist on duty at that time was quite offhand until I pointed it out to her and yes, she changed her tune but it didn't make for a good first impression. Didabled room was booked for my father. The bathroom door would not close. This caused embarrassment for all especially my father. No non slip mat was provided either for the bathroom as with disabled shower the bathroom floor gets very wet. Central, clean and comfortable. Perfect for our short stay. Good thing we brought our earplugs as very loud pub close by. Hi Sarah, Thank you for your great rating; we appreciate you taking the time to provide your feedback. We are sorry you were affected by some nearby noise, however with our central location sometimes this is unavoidable... we try to do everything we can to help our guests feel comfortable. Kind Regards, Quality Suites Team. 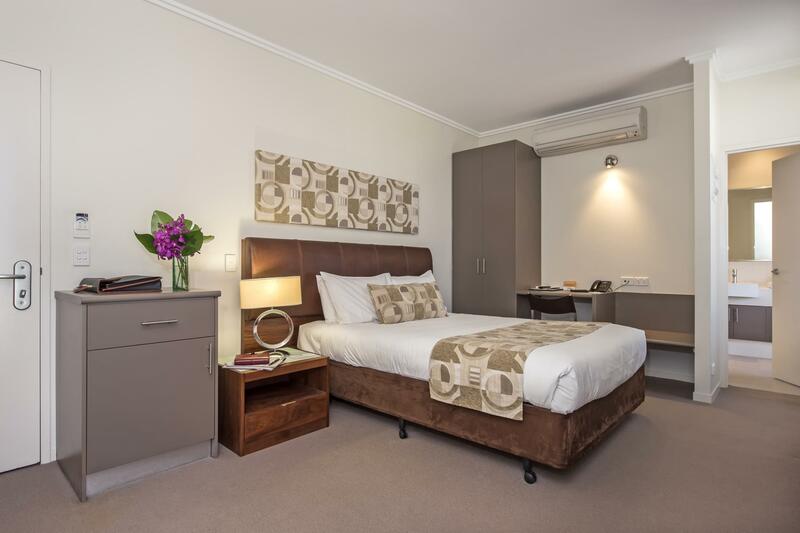 Quality Suites are ideally suited for the traveller without a car, within easy walking distance to a number of Fremantle's fabulous, sustainable cafes, and handy to access the free, cat public transport. Housekeeping and reception staff were friendly and helpful. I usually dont complain about accomadation but the Quality Suites were dreadful. We had a one bedroom appartment with a balcony. The balcony looked out onto a run down building and below was the rubbish collection area, it was unpleasant to sit outside. The bathroom was very smelly and we complained about it and nothing was done, smelt like sewage. Our fridge didnt work for the entire time we were there and once again we compained about it and nothing was done about it. One night it was very windy and we couldnt sleep with the noise of the wind whisling through the buildind and under the doors. We thought the kitchen was set up for 2 people but we only had one fork seemed that no one checked the appartment. The fridge had the last tennants cheese left in it, so much for cleaning. Found that the fit out of the appartment was poor as there wasnt a small table and chairs to sit on i think that they think people eat their meals on their laps. Not acceptable and exteremly dissapointing. Hi Doreen, Thank you for taking the time to write this review; your comments are appreciated as we are committed to improving our service and amenities. We apologise that your experience was not to our usual standard and have sent your feedback to management to thorough review with the entire team. Thank you again for bringing these issues to our attention; we hope that you will give us another chance next time to come to Fremantle so we can show you the improvements. Kind Regards, The Quality Suites Fremantle Team. Small hotel in the center of everything. Clean rooms, no frills but just what I need. Great! Thank you for taking the time to let us know about your stay! Thank you for taking the time to provide feedback, we take this very seriously and were applicable take actions to change what we are doing to make our offering the best we can. I am surprised to hear about your stay, more info is required for me to be sure that I have already tackled the issues raise. Feel free to contact us at the hotel so we can set aside any concerns you have had. We enjoyed our rooms and our stay and the person in charge of cleaning our rooms did a superb job. Customer service was good on our first visit, however, when we visited again the 2nd time 5 days later, the receptionist serving us was not so patient. But I'm sure it's just a one-off incident. Hope to enjoy our stay again next time! Thank you for taking the time to review our hotel, we are glad you enjoyed your stays. Our onsite parking is very tight, however we do have a alternative at a local car park just 200m away and this is at a lower price than our onsite parking option. A fabulous location in walking distance to everything. Value for money. Staff were friendly and there to help. Would happily stay again. Great! I love hearing good feedback about my team here. I hope to see you next time you are in Fremantle. Thank you for taking the time to let us know about your stay. Sorry to hear that you had some issue with external noise, given our central location this can be a issue for lighter sleepers. I strongly recommend if you are a lighter sleeper, let us know in advance as we have some rooms that are quieter. Location was fantastic, bathroom was filthy and moldy, put ice in the freezer at 10:30am and lunch time the following day it was still water however was impressed with coffee machine and they were very generous with tea and coffee, overall ok but cleanliness very lacking and wouldn’t stay there again. Thank you for taking the time to let me know about your stay. I am surprised about the state of your bathroom, we are very vigilant on cleaning and from you comment it wasn't up to our normal standards. I apologise that we miss the mark on your stay and hope that you will consider trying us again. The only trouble we had was because we were late check in. We're given the wrong code, luckily we were able to call and get the proper one. We had a dodgy shower but the staff happily moved us to another room and the shower was great! The lady who moved us was also very lovely. Late arrival can be a bit tricky, apologies that the first code did not work. I am glad that we solved any issues that arose during your stay successfully and you enjoyed your stay. Place, staff was awesome. 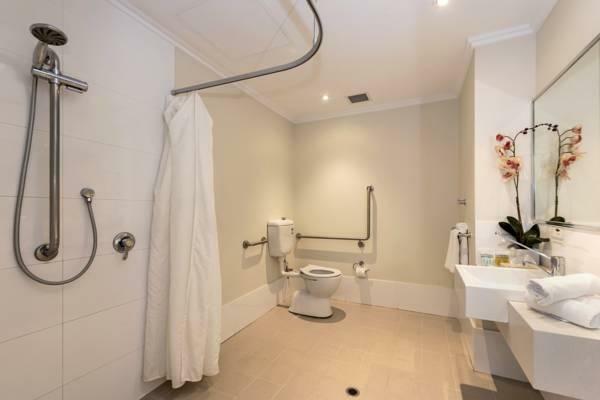 Easy access to the Fremantle train station. Food nearby was good. The room that was given was value for money because it was big. Thank you for your review, glad that you enjoyed your stay with us.